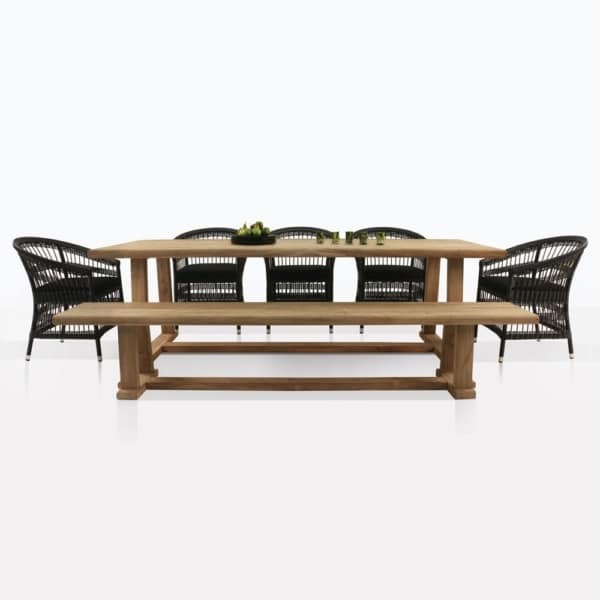 Imagine hosting your next dinner party around this lovely outdoor dining set. 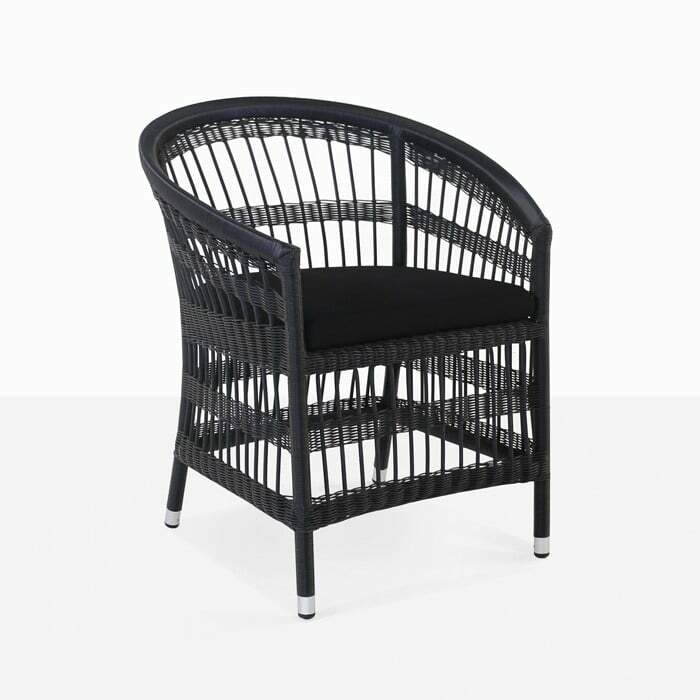 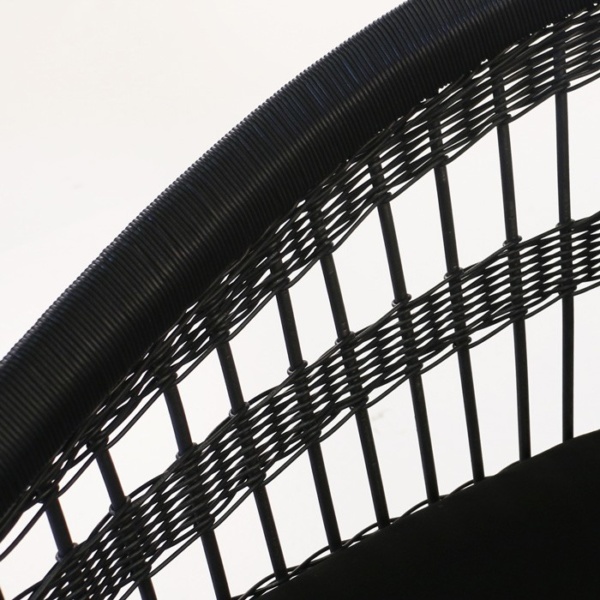 It is made with classic outdoor materials including wicker and teak. 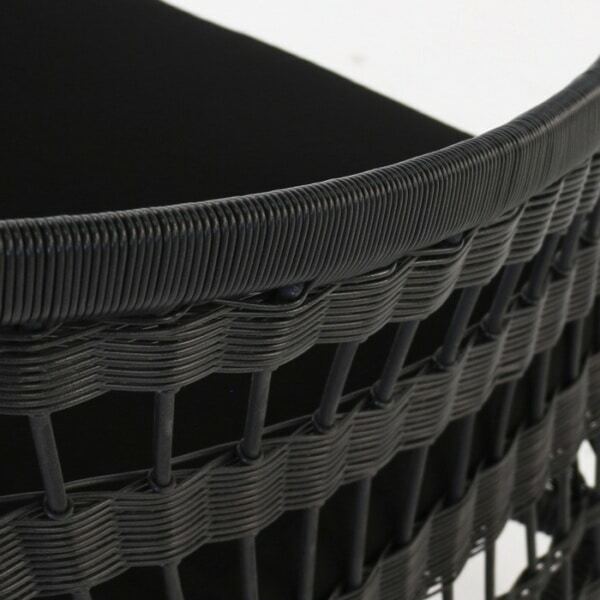 The design of the furniture has a traditional feel with just the right amount of chic flare. It will seat six people comfortably. It features the Joseph Dining Table, Bench, and Sahara Wicker Dining Chairs. 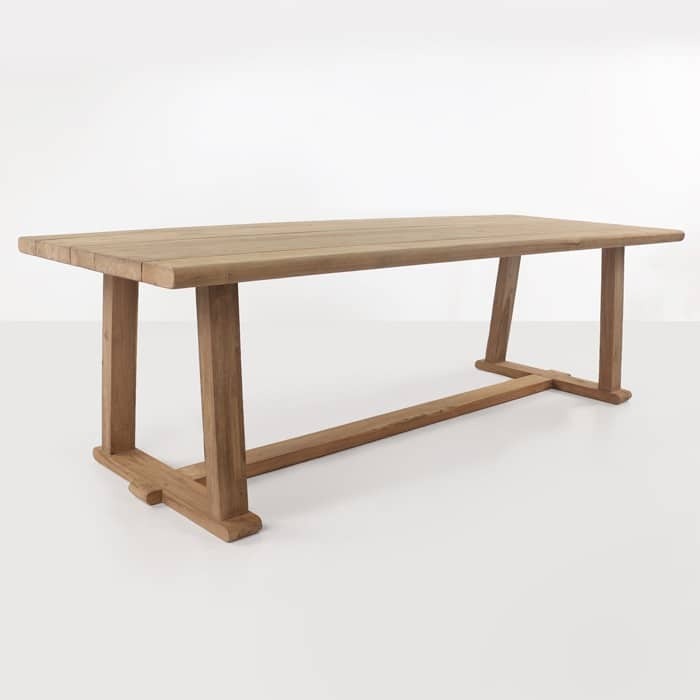 Be inspired and fall in love with one of our dining sets, or create your own by pairing any chair with any table you like!